HUGE ENORMOUS THANK YOU FROM ERIN AT CAPE ANN WILDLIFE! 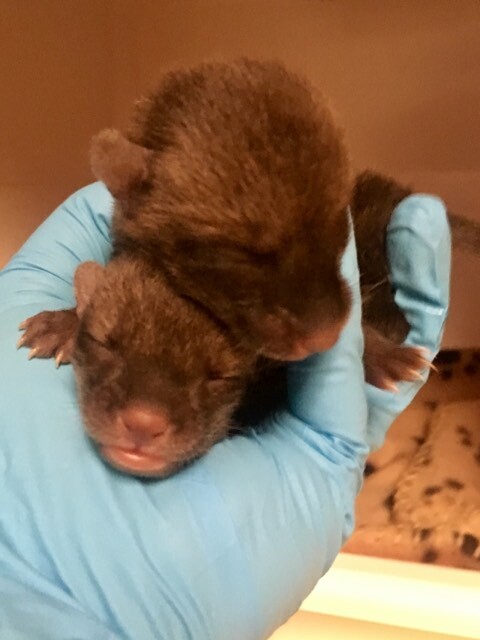 Animal wildlife rehabilitator Erin Hutchins recently shared a link to her Amazon fundraiser to help gather supplies for Cape Ann Wildlife rehabilitation center. She is so deeply touched at how generously folks have given to her fundraiser that she is actually tearing up when she sees the items on her doorstep. Erin is sending readers a HUGE THANK YOU!!!! and wants everyone to know how these supplies are going to be of such tremendous help. Erin, are these Red Fox kits/babies? So adorable!!! This entry was posted in Cape Ann Wildlife and tagged Cape Ann Wildlife, Erin Hutchins on April 16, 2019 by Kim Smith.